It's our great pleasure to welcome Jennifer Easterday (left) as an IntLawGrrls contributor. Jennifer's a Ph.D. Researcher for the Jus Post Bellum project at the Grotius Centre for International Legal Studies at the University of Leiden in the Netherlands. She's scheduled to discuss that work on an American Society of International Law Annual Meeting panel set for 11 a.m. Friday, March 30. She's also a consultant trial monitor for Open Society Justice Initiative, monitoring the Katanga and Ngudjolo trial before the International Criminal Court. 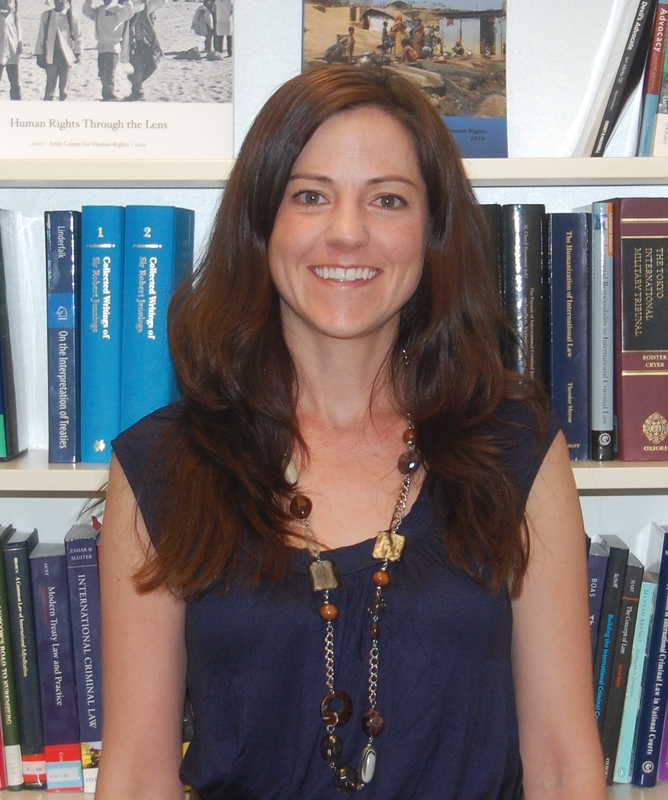 Jennifer previously worked for International Criminal Law Services, a Hague-based nongovernmental organization; her work included drafting training materials tailored to the Balkans region and international criminal law capacity-building projects in Uganda and Rwanda. She also worked as a Senior Researcher and Trial Monitor for the UC Berkeley War Crimes Studies Center, inter alia researching and monitoring the Special Court for Sierra Leone trial of Charles Taylor. Jennifer earned her J.D. from the University of California-Berkeley School of Law, and her B.A. from the University of California-San Diego. She is the author of a 2009 article on complementarity and Colombia, as well as numerous reports on the Taylor trial before the Special Court for Sierra Leone. In her introductory post below and her post tomorrow, Jennifer presents a 2-part series on how the recent Garzón judgment exposed deficiencies in Spain's post-Franco transition to democracy.